Can anyone help me with the next move on this board? Have I missed something really obvious? I was the guy who helped you but I don't see a solution here either. If it's a good working guess-free mode than maybe you marked wrong field as mine. Try restarting board if possible and try again. If you end up in same situation than it's not a guess-free board. Zlix wrote: I was the guy who helped you but I don't see a solution here either. If it's a good working guess-free mode than maybe you marked wrong field as mine. Try restarting board if possible and try again. If you end up in same situation than it's not a guess-free board. I really thought there must be something in the area in the bottom left near the 4, this is where I concentrated mainly, but couldn't see anything. Thanks for checking. This is worrying. Unfortunately I can't restart the board but I did take screenshots when I lost the board and I didn't mark any mine incorrectly. I will post another board I had trouble solving. Regarding the first image, there is no mine at coordinate (2,4). You can see from the following two images that no matter where the mine is for the 4 in the bottom-left corner, there will always be an empty square at coord (2,4). I stand by my statement that nothing obvious was missed, though. DMarden wrote: Regarding the first image, there is no mine at coordinate (2,4). 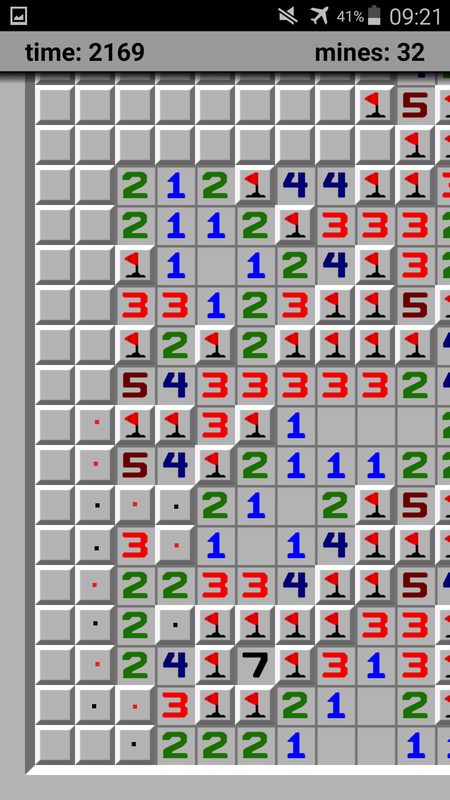 You can see from the following two images that no matter where the mine is for the 4 in the bottom-left corner, there will always be an empty square at coord (2,4). Hey, sorry for the super-late reply...thanks so much! It's reassuring that the "guess free" mode is still untarnished. Also, you are a genius! !